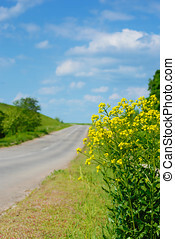 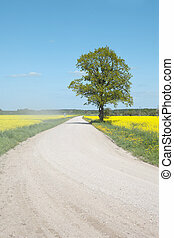 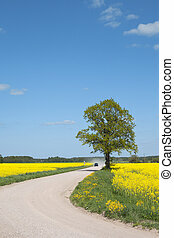 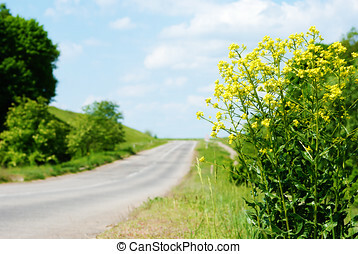 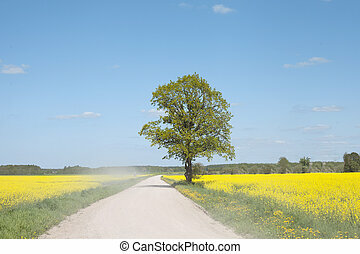 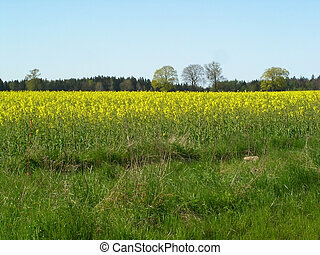 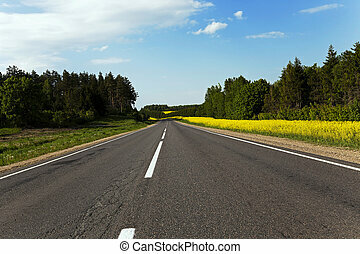 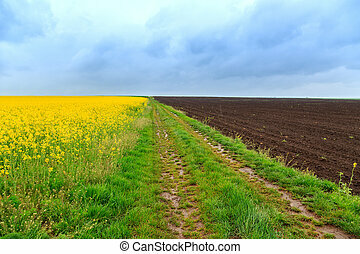 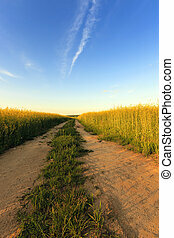 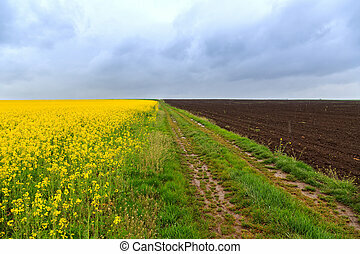 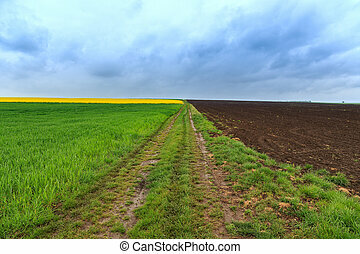 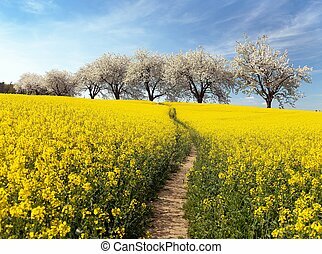 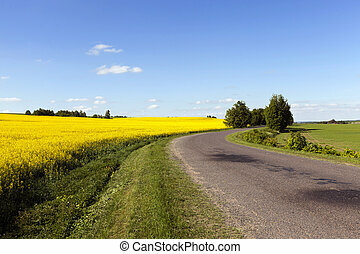 Canola road. 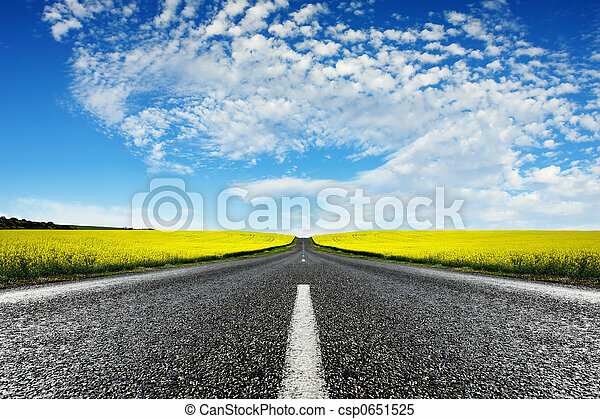 Road travelling through a canola field. 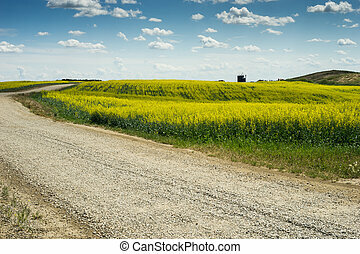 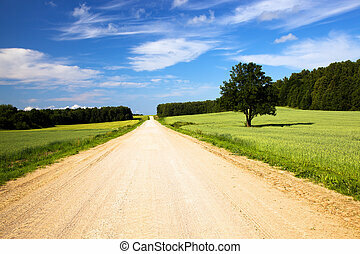 Dusty road in canola field.